When 28-year-old Nicholas Robertson was fatally shot by sheriff's deputies in a Los Angeles suburb on Dec. 12, reports of the deputies firing a total of 33 shots caused outrage and alarm in the community. According to the LA County Sheriff's Department, the husband and father of three fired shots into the air and pointed a weapon at deputies as he crawled on the ground at a gas station and did not comply with police commands. 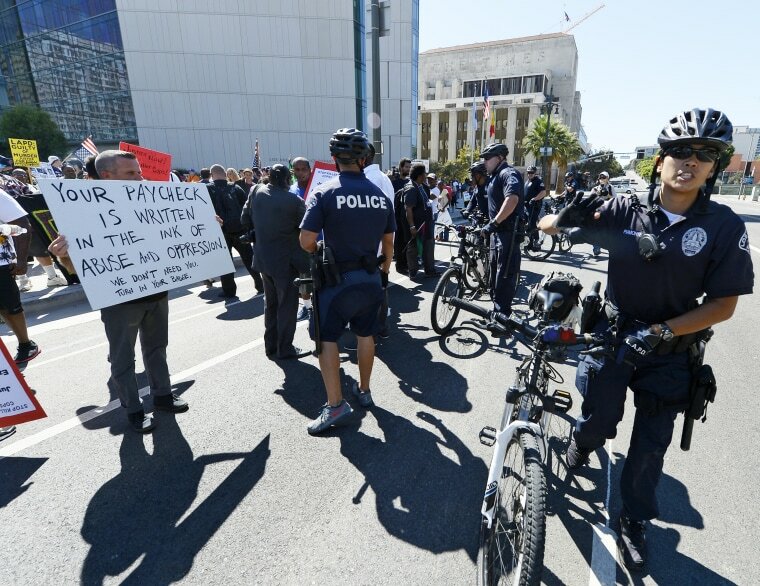 The incident, which was captured on video, comes amid increasing public scrutiny over police-involved shootings in L.A. and around the country, and is an example of the kind of incident many journalists, public officials, and policy-makers are seeking to understand. A new project by NPR member station, KPCC in Southern California, sought to examine circumstances surrounding officer-involved shootings in Los Angeles County and found that from 2010-2014, African-Americans in L.A. were killed by police at triple their rate within the city’s population. The project, called Officer Involved, includes a series of stories, on-air discussions, and a searchable database. "Roughly 40 percent of the 375 people who were shot were described as reaching for their waistbands, reaching for their pants, or the officer couldn’t see their hands." KPCC looked at 375 officer-involved shootings over the five-year period, combing through district attorney and coroners’ records; interviewing witnesses, prosecutors, police and family members; listening to 911 tapes; and screening dashboard-camera footage. FBI Director James B. Comey recently added his voice to the chorus of those demanding more transparency in police-involved shootings. “You can get online today and figure out how many tickets were sold to ‘The Martian… It’s embarrassing and ridiculous — that we can’t talk about crime in the same way,” he told a private gathering of more than 100 politicians and top-law enforcement officials at Georgetown University. Comey suggested that the lack of detailed information hampers officials from determining whether these high-profile killings are isolated events or part of a disturbing trend. The KPCC report revealed that roughly 1 in 4 people who were killed by police during the five-year period were unarmed. And while officers are encouraged to use a continuum of force, progressing from oral commands; to using their hands without weapons; to batons, mace, etc; and finally lethal force, in 320 of the 375 shootings officers did not try less lethal methods before suspects were shot. Larrubia previously reported on the death of Ezell Ford, a 25-year old black man who was fatally shot by police in a 2014 encounter that lasted 13 seconds. “Roughly 40 percent of the 375 people who were shot were described as reaching for their waistbands, reaching for their pants, or the officer couldn’t see their hands,” said Chris Keller, KPCC’s data editor on the project. A big challenge in policing effectively, the team found, is that citizens don’t view the world the way law enforcement does: “Police are generally very rational people. They…know the consequences of their actions and decisions, and therefore expect others to behave similarly,” Rina Palta of KPCC said at the meeting. “If they run up to a suspect, point a gun at them, and yell, “put your hands up,” “police may not take into consideration that not everyone arrives at the conclusion that if they don’t comply immediately that they may be shot,” she added. Citizens are sometimes under the influence of alcohol or drugs. Some are in the midst of a mental-health crisis. Palta says they filtered the data for instances of people who were shot by police after “not following commands,” and found 279 out of 375 that fit that description. Upwards of 120 of the individuals were either under the influence of alcohol or drugs, or there was a mention of mental illness. More than 40 of those shot were into the latter category. Going forward, L.A. County District Attorney Jackie Lacey has called for every officer within her county to be trained for at least two days to better deal with someone who’s in mental health crisis, while LAPD and the LA sheriff’s department think a full week’s worth of training is needed. 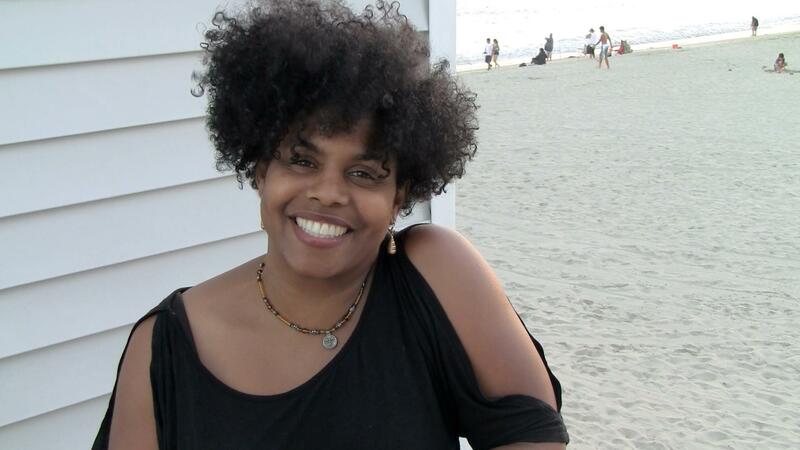 Pamela K. Johnson is a Los Angeles-based writer who is fascinated by 1940's Black Hollywood, and is at work on a couple of screenplays, a novel, and a blog on the subject. Follow her @pamelasez.